In January 2006, after serving as a zoning prosecutor in the Oakland City Attorney’s office, James started a full-time private practice specializing in medical cannabis dispensary land use law. James assists collectives in staying in compliance with state and local law, and defends collectives from local government lawsuits trying to shut them down. 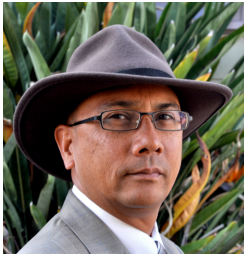 James also has deep political experience writing initiatives and running campaigns in Berkeley, San Jose, Santa Ana (Orange County), and other cities and counties around the state. James’ experiences as an Oakland Deputy City Attorney and as a drug policy activist put him at the forefront of this emerging area of law. When James worked for Oakland, he was City Hall’s lawyer and helped the government permit “good”—and shut down “bad”—businesses. Now he can be your lawyer, using his experience on the inside to strengthen your chance of being left alone. If local government ever tries to bully you into shutting down, James can give you the fighting chance to stay open. If you are ever harassed by local government telling you that you must “cease and desist” or ordering you to “abate the nuisance,” call James for a realistic appraisal of the strength of the City’s case. It’s time to work with City Hall and with our neighbors to create collectives that are recognized and respected for their positive contributions to our communities. If City Hall is afraid to legislate, we should take it to a vote of the people. A positive relationship with City Hall and your community can promote years of successful operation.